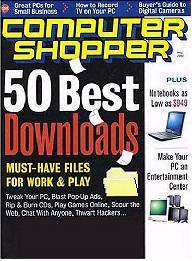 Computer Shopper provides hardware and software reviews. It's not just a shopping site, in fact I find some of the best computer articles there. Their writers seem to have a way of putting things in plain Engish that readers can understand. 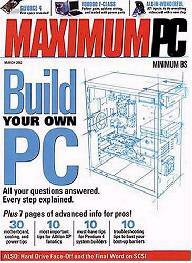 Maximum PC is about getting maximum performance from your PC, basically to play games. It provides in-depth hardware and software reviews. Maximum PC frequently features overclocked hot rod PCs in crazy cases built by readers. 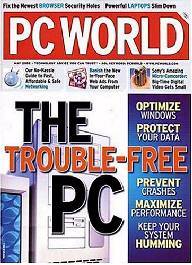 A couple very important sections of the magazine are WatchDog where Maximum PC takes a bite out of rip-off companies, and Ask the Doctor where the doctor diagnoses readers PC problems and offers fixes. 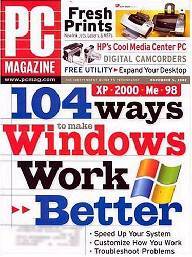 The PC Magazine Web site has several useful sections. The Downloads section provides links to many useful utilities. The Solutions section provides solutions for hardware software and other problems. The Tips section features "Tip of the Day" and "Find a Tip" by operating system or application software, with a tips search feature. At PC World learn from how-to artilces, sign up for email alerts on stories that match your interest, choose an expert to get help from, or download shareware and free software.